Visualize the path of your emails, and know who else might read them! 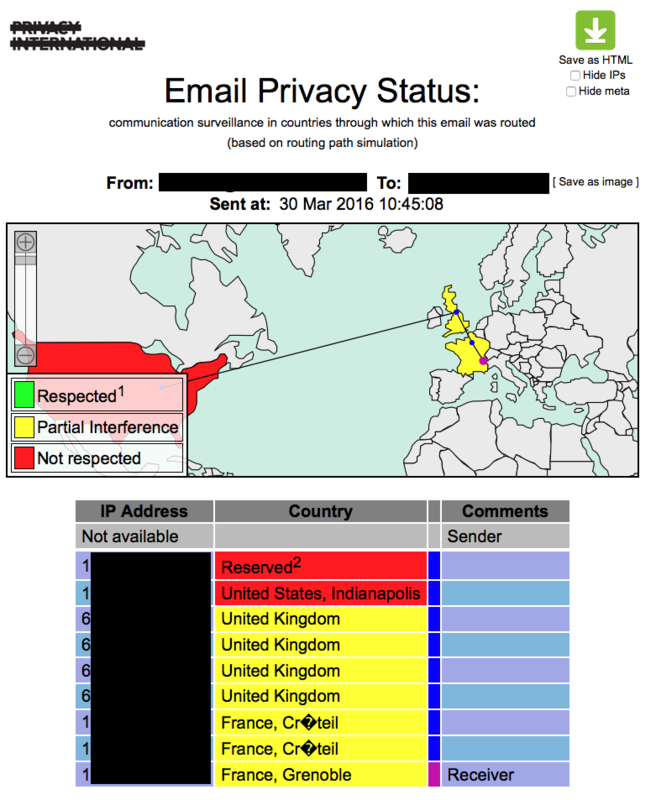 Furthermore, it generates a list of countries the email traveled across and use color codes to indicate whether or not it is likely that the email was intercepted or monitored. It is a useful tool for raising awareness of privacy issues related to electronic communications. 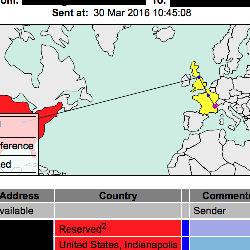 Thus, the extension also allows the sender to send back the visualized routing information to the sender. It works nicely both on Windows and Mac OS X. 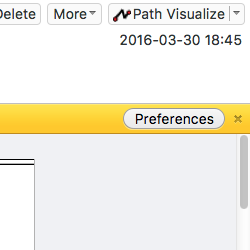 While currently this tool is called TracEmail, earlier it was called Email Path Visualization Project (EPVP). There were several phases of its development, where several people were involved. Beginning of 2016, minor updates. The new website is launched on a new domain, the extension is renamed. Developed by Zoltán Kovács and Gábor Gulyás. Spring of 2012, second phase. The plugin was renovned, several parts were updated. The renovations are funded by BME-Infokom Innovator Non-Profit Ltd. Developed by Károly Boda and Gábor Gulyás. Fall of 2010 - January of 2011, first phase. Privacy International initialized the project based on the idea of Kristina Irion. The EPVP v1.0 tool existed as a Thunderbird Extension, and as a Firefox extension that was operating in Gmail. Unfortunately, after the project ended, significant changes have been introduced to both Firefox and Thunderbird APIs (from version 4.0). This quickly made the extensions obsolete, and delayed it's wide deployment. The first version of EPVP was developed by Tamás Besenyei, Tamás Paulik and Gábor Gulyás. International website with news, analysis, thesis and research papers related to privacy-enhancing technologies. This non-profit company supported the renovation of the EPVP v1.0 plugin, which is greatly acknowledged. 1. I found a bug. What should I do? Unfortunately the EPVP is currently not developed, so sending a bug report in will not have any effect. However, if you feel that you would like to contribute to the project, do it on the Github repo and contact us! 2. I think the surveillance info on different countries is outdated. Can you update it? You might be right; it was last updated in 2011, and governments pushed their limits forward since then. 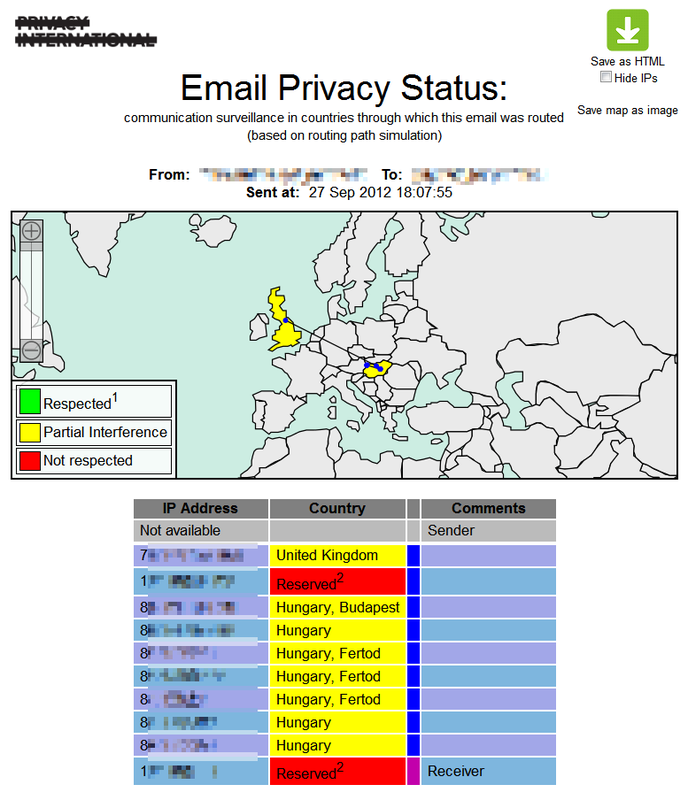 It you can provide info on a country, send it to us, and we'll check it and update the plugin. A Firefox addon also exists for EPVP, however, it is a bit oudated, and works with only Firefox 3.6. It also requires a similarly old Gmail (as of January of 2011), which is a bit harder to obtain. Nevertheless, the binary and the sources are available for download on Github. If you have any questions, drop us a line of mail. You can also contribute to the source code in the Github repo. © TracEmail. All Rights Reserved 2016. Theme designed by ShapeBootstrap.